We had a long night last night as I tried to help a buddy get his truck unstuck from a nearby, not-so-dry lakebed, but we still managed to get a lot done today. Caroline, Hunt and I added another 3 layers of thickness to the butterfly panel today, which went even better than yesterday's lay-up. For the rest of the day, I worked on the body mold. I all but finished the surface that lies under the butterfly panel, and did a huge amount of work on the flank. 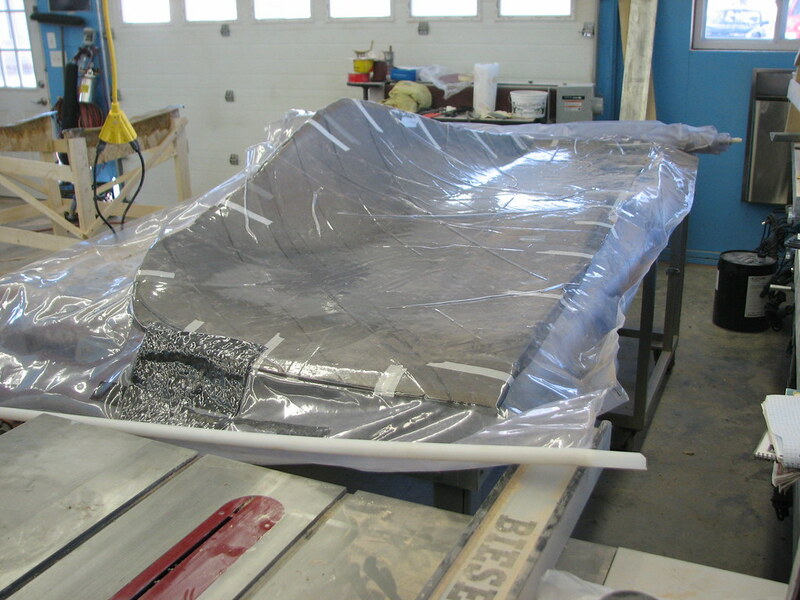 Hunt fine sanded and polished the gel-coat of the driver's side butterfly panel mold.